While upfront prices are a good place to start, try to analyze the service you’ll receive for each price to more accurately measure value. Breaking down the warehouse’s fees and comparing them that way will help you to figure out how costs differ between warehouses and why. Warehouse prices include many different categories and subcategories of fees, including location, customer service, technology, storage capacity, and more. Finding out what you’re being charged for specifically can help you decide if prices are fair and compare your options more accurately. 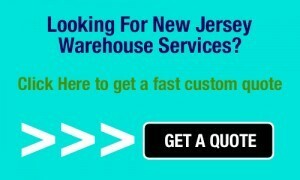 Look into warehouses that are close to the bulk of your customers if you ship locally, as well as near shipping hubs. Having a warehouse close to your business is convenient for you if you want to visit and keep an eye on your products, but much less important than proximity to carriers and/or customers, both of which will help your products reach customers more quickly. Look for a warehouse that can meet your needs—both in terms of space and services, now and in the future. How well can a warehouse handle your products and deliver on your needs? Some businesses may want to look into on-demand or seasonal storage, and others may find it helpful to discuss opportunities for growth—in terms of storage space or services required—in the future. Organization is a big factor in a warehouse’s ability to function efficiently—and to get your products where they need to be without making your own company look bad. Be sure to ask questions in order to fully understand their system of organization, and make a visit to any warehouse you’re seriously considering. Cleanliness can be a good indicator of organization and how well a warehouse can handle your business. Just like any long-term relationship, the partnership between your team and your warehouse’s team should feel right to you. Finding a team that you enjoy interacting with, a system that works with your company, and a partnership that makes your business easier— not more difficult. Are they willing to work with you based on your own individual needs as a company? Do they understand the ins and outs of their own system, and are they willing to learn about and comply with yours? How transparent are they with their functions and how well do you understand their operations? All businesses have these needs, but each business will want to consider them uniquely in terms of their own practices, products, and priorities. There isn’t a one-size-fits all formula for a warehouse partnership—each warehouse and each client company are different. Depending on the business, you’ll want to weigh these different considerations according to your needs. For example, if you’re a part of a small company, storage capacity matters less than having a warehouse near your customers; whereas an efficient system is really important to a bigger company with a lot of products to store, organize, and ship to farther-away clients. 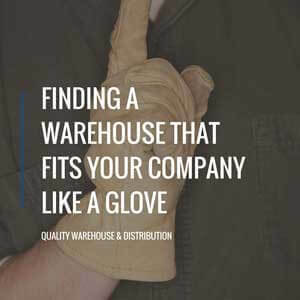 Once you know what factors you need, and what you want, you can search for warehouses with a much better idea of what you’ll need from their facilities and services.